ChartWise Medical Systems - Coverage - Did a Cholera Outbreak Inspire ICD-1? Did a Cholera Outbreak Inspire ICD-1? I wasn’t the first and I won’t be the last to take a shot at summarizing some of the history of the first international classification of diseases, a process that started in 1853 and was finally approved in 1893. While this was not officially called “ICD-1,” it was in fact the first international standard for disease and mortality classification. Snow was clearly a man ahead of his times. The “germ theory” of disease did not yet exist. It wasn’t until 1885 that Robert Koch identified the Vibrio cholerae bacillus as the cause of the disease. In fact, the field of epidemiology did not even exist yet, despite the title of the London medical society. 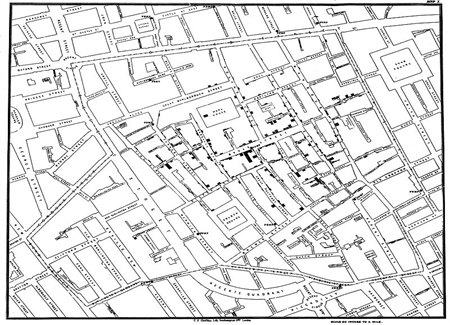 Tracking the cholera pandemics created a worldwide interest in disease patterns and spread and helped to create the need for a way to classify disease. We’ll never know for sure if that was the driving inspiration behind the first international disease classification. But that’s my story, and I’m sticking to it.